At Space Systems Research Corporation, our job is to perform the tasks needed so that you can focus on your priorities: performance, reliability, and scientific results. Our capabilities are broad; our focus is streamlined. We have supported the advanced development of cameras, telescopes, and next generation technology for delivery to scientific missions. We’ve supported agencies in the federal government and academia in a myriad of programs aimed at gathering scientific information from the beginning stages through successful on-orbit checkout and operation. Our expertise has assisted others to confirm theories, validate models, and investigate anomalies through data analysis. 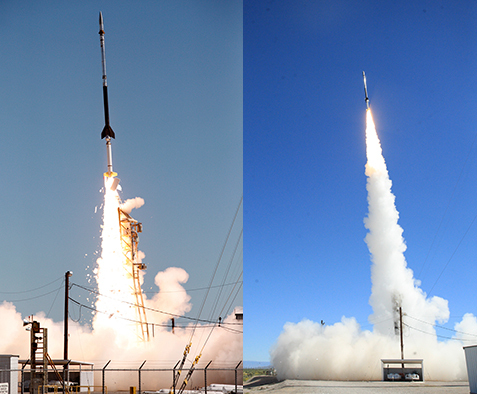 And we have successfully supported the launch of multiple worldwide sounding rocket payloads to capture measurements and conduct experiments in space. If you have questions about how to execute your next project and are looking to transform your ideas and needs into reality, SSRC has the answers. Our three core services cover a lot of territory, but we also have experience addressing needs beyond these boundaries. Bring us your most unique or unexpected project and we’ll help you make it possible. We are focused on designing, testing, and integrating your project on time and on budget, always ensuring its alignment with your objectives. We are dedicated to studying your technical requirements, working with you to develop the best, customized approach, and bringing your project to life. We thoroughly assess complex subjects, evaluate intricate data, and present relevant material to diverse audiences, ensuring a valuable outcome. Our approach to project management focuses on the three key elements of success: performance, cost, and schedule. And, in reality, project management really is people management. You must know how to bring out the best in people to perform a challenging task. Through our work with industry partners, NASA, NOAA, the U.S. Department of Defense, and research universities, we have the experience to assemble experts from a wide array of disciplines, pairing the sharpest minds to the tasks at hand. And for the life of your program, from proposal development to operations, SSRC can support your program management needs. We believe that achieving success as system engineers not only requires the ability to understand unique objectives, but also commands the manufacturing knowledge needed to bring a project to life. With Space Systems Research Corporation, you’ll have access to experienced space systems engineers who understand how recommendations and decisions impact a project’s performance as well as budget. Whatever the mission, we will work in concert with you and your team to study technical requirements and recommend the best approach to accomplish your objectives. We can help design instruments to be incorporated into a rocket or a satellite, or to perform a necessary function for a crew operating in space. Let there be no doubt, we understand the world of the scienti c research. SSRC provides a supportive environment to scientists and students—enabling researchers to participate in their pursuit of scienti c research. SSRC provides our principle investigators and co-investigators with simple management interfaces and nancial system requirements so that the bulk of their time is spent on research, not administrative tasks. GOES, or NOAA’s Geostationery satellite system, works around the clock providing the kind of continuous monitoring necessary for intensive data analysis. It provides constant watch for atmospheric “triggers” for tornadoes, ash oods, hail storms, and hurricanes, and space weather. Soon after the launch of GOES-N, SSRC led a team of experts to investigate and validate portions of the Post Launch Test (PLT) period data. SSRC used the as-built sensor drawings to create an end-to-end mathematical model of the instrument. 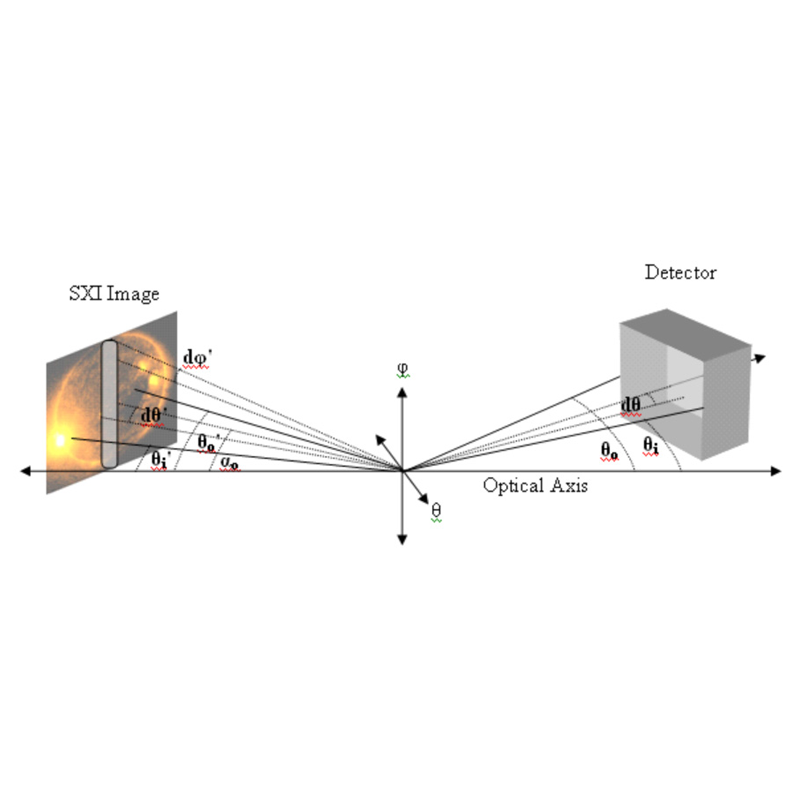 Using this model, the team studied the optimal and non-optimal alignments of the sensor. Results were evaluated and algorithms developed to provide data processing corrections and validate the performance of the sensor. SECCHI is a suite of ve scienti c telescopes that observe the solar corona and inner heliosphere from the surface of the Sun to the orbit of Earth. It ies on STEREO, which is composed of twin NASA spacecraft. Launched in October of 2006 from the Kennedy Space Center, SECCHI provides data for understanding solar activity, including Coronal Mass Ejections (CMEs). SECCHI provides data that helps to answer such questions as: How does a CME start? What increases its speed? 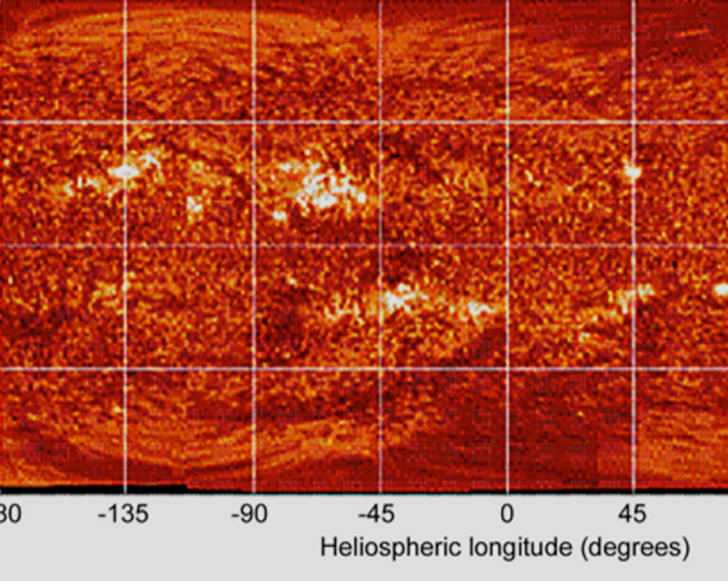 How does it interact with the heliosphere? How does it cause disturbances in space weather? Space Systems Research Corporation personnel served as program manager, deputy program manager, and deputy mission operations manager. Working day-to-day with NASA, SSRC’s roles included managing the design, fabrication, integration, testing, and calibration. SSRC also ensured delivery of the program, integrating it with the STEREO spacecraft, and provided launch support and mission operations. In conjunction with its day-to-day operations, SSRC also managed 18 subcontractors and three foreign partners that provided hardware elements and technical support. SSRC was brought onto SECCHI at a time when cost and schedule issues were impacting the program. SSRC worked with NRL’s SECCHI team and NASA’s STEREO management to restructure the program and move it on to a highly successful mission. Note: SECCHI is named for the Italian astrophysicists Angelo Pietro Secchi (1818-1878) who used photography to record solar eclipses. 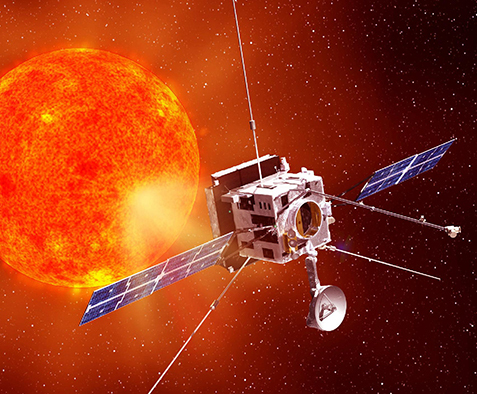 The Naval Research Laboratory’s heliospheric imager, or SoloHI, is one of 10 instruments that will be on the European Space Agency’s solar orbiter mission. SoloHI will provide revolutionary measurements to pinpoint solar storms known as coronal mass ejections or CMEs. Likened by some to solar hurricanes, CMEs travel from 100 to more than 3,000 kilometers per second. Their disruption of communications and power systems on Earth is a serious concern. 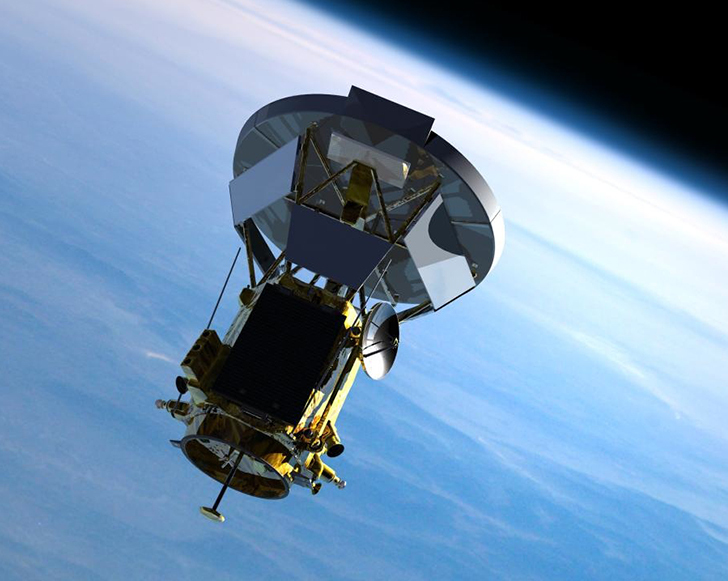 The solar orbiter observatory will travel closer to the sun than any other spacecraft and will conduct scienti c investigations ranging from near-sun and out-of-ecliptic measurements to observing the sun and its environment. 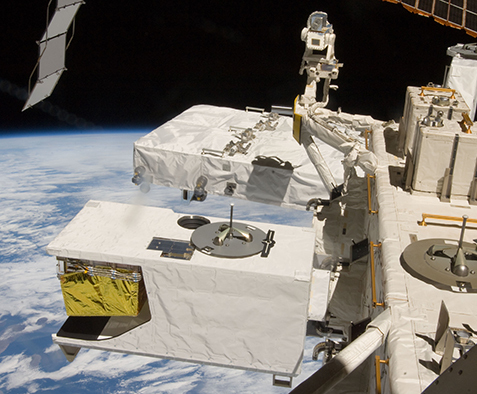 HREP is the rst NASA mission to the Japanese Experiment Module’s – Exposed Facility (JEM-EF) on the International Space Station. 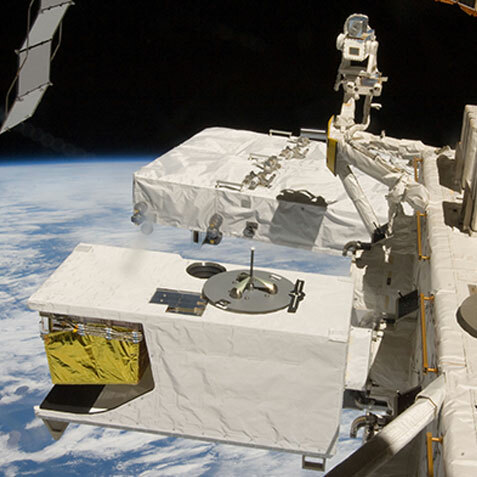 The HREP Mission, a name which is derived from the combination of the HICO and RAIDS instruments, is designed and built to detect, identify, and quantify coastal geophysical features from the International Space Station. It consists of two instruments: the Hyperspectral Imager for the Coastal Ocean (HICO) and the Remote Atmospheric and Ionospheric Detection System (RAIDS). 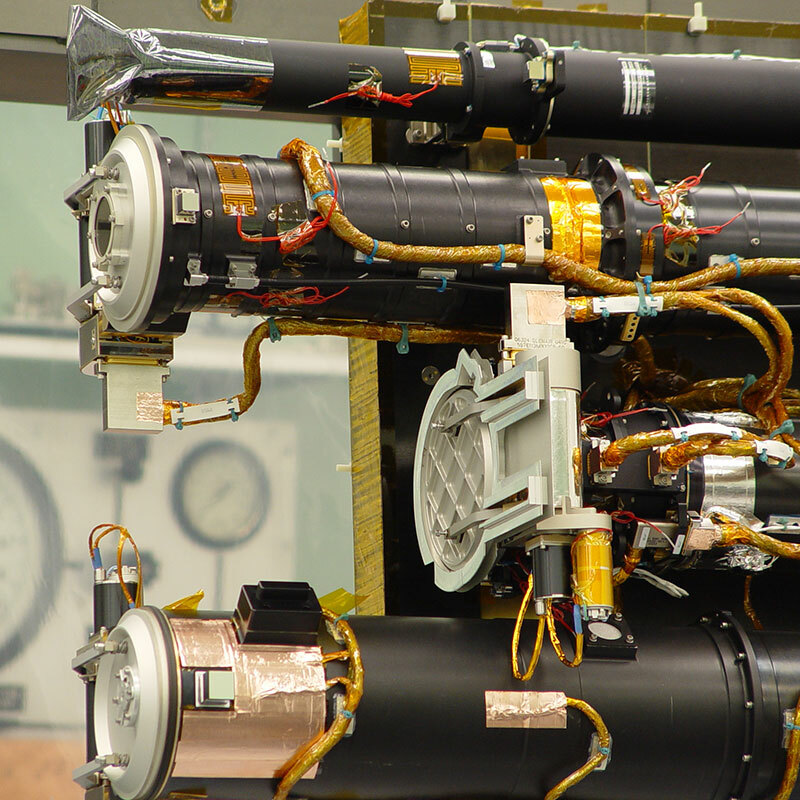 SSRC provided systems engineering and instrument support in the development of the HREP mission, as well as the lead for integration, assembly and test phases. 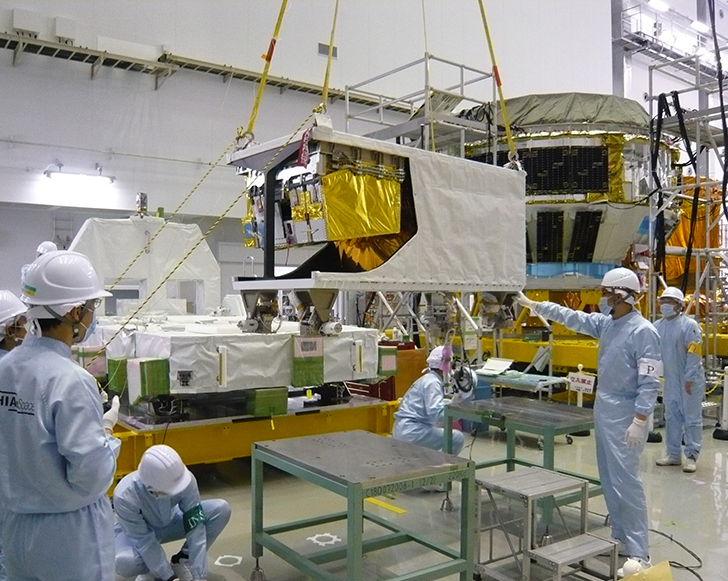 SSRC also led the launch site support team during nal checkout and integration to the launch vehicle prior to its launch in September 2009 from Tanegashima Space Center in Japan. SSRC was also responsible for the mission assurance and on- orbit checkout. SSRC continues to support the HREP program through the operations lead and operator staf ng. Known for its ability to investigate phenomena, and develop the tools necessary to improve our understanding of space and its effect on Earth, NASA has selected the Space Systems Research Corporation to lead a team of international scientists to study the solar EUV variability for the three- dimensional heliosphere. The SSRC Principal Investigator (PI) is joined by co-investigators from Interferometrics, Inc. and the Universitsité Paris-Sud. 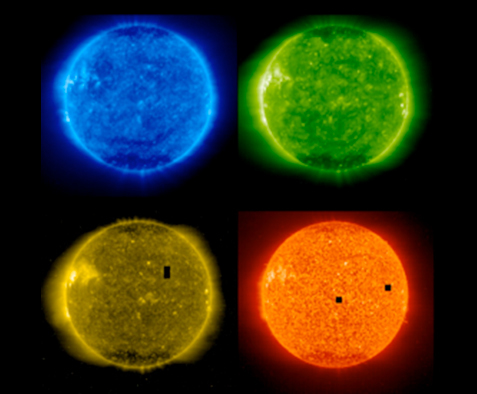 Solar EUV and UV radiation has a potentially broad impact on [the studies of] planets, comets, and the heliosphere within the solar system. 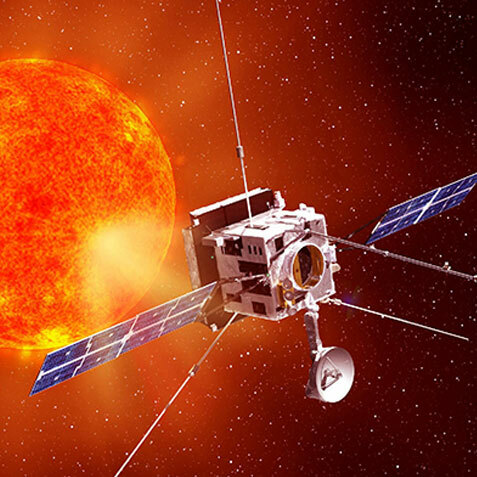 Knowledge of the solar ionizing radiation throughout the heliosphere will greatly aid the understanding of the physical processes that operate in the solar system. SSRC has worked with the NRL team to upgrade their original VAULT payload to the new and improved VAULT 2.0. The Very high Angular resolution Ultraviolet Telescope (VAULT) sounding rocket payload is a Ly-alpha imaging spectroheliograph own twice successfully (1999, 2002). The VAULT2.0 instrument has been speci cally upgraded to obtain nearly Rayleigh diffraction limited resolution (<0.38 arcseconds) at ultraviolet wavelengths. VAULT2.0 will utilize an excellent optical quality 30cm diameter telescope followed by a zero dispersion spectroheliograph to achieve 0.38 arc-second spatial resolution H Ly alpha images. 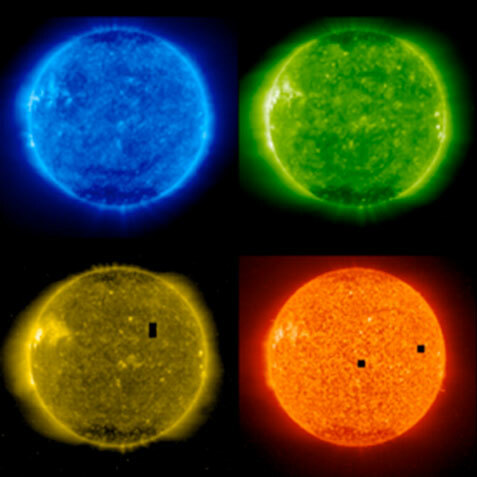 The solar image is projected onto a high speed, large format CCD camera which uses a 2048×2048 E2V CCD detector. SSRC personnel have supported the Navy team of scientists and engineers from the VAULT 2.0 proposal through the successful development.